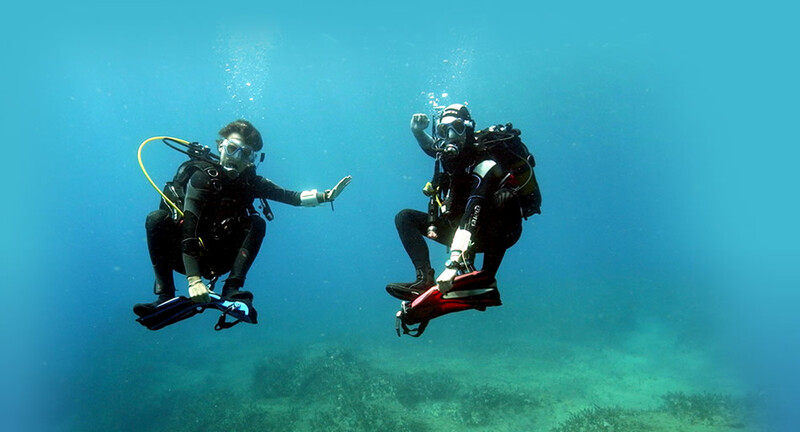 Our rental equipment is all of professional quality, ensuring that you will enjoy snorkelling! Rent some snorkelling gear and find out what there is to see in our fascinating Mediterranean Sea. There are many interesting things to find underwater, such as this tube anemone! If you already feel comfortable in the water then take the chance to rent some of our top of the line snorkelling equipment and go snorkelling independently. You are welcome to rent a full set of snorkelling equipment (including all of the items below) and go and explore the underwater world on your own! Our high quality silicone masks from Mares and Technisub (with the option of inserting optical lenses at an extra fee) will give you a water-free, clear vision. Together with the instructor’s choice in snorkels, the Technisub Air Dry, these will guarantee an enjoyable snorkelling experience. Our neoprene Mares wetsuits (ranging from shorty to full body wetsuits), will keep you nice and warm and protect you from the sun so you can enjoy the underwater world as long as you like!